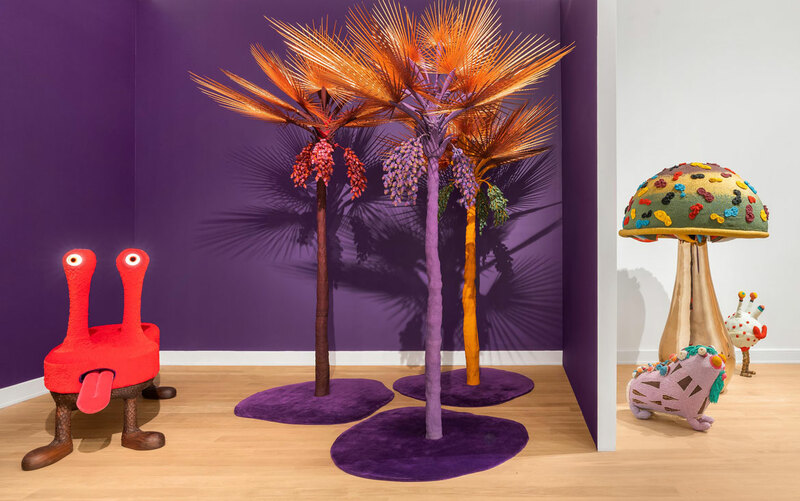 “Ferngully”—the exhibition by The Haas Brothers at The Bass Museum of Art in Miami Beach, Florida, from Dec. 5, 2018, to April 21, 2019—takes its name from the 1992 animated film about fairies and a logger endeavoring to save “The Last Rainforest” from pollution and logging. 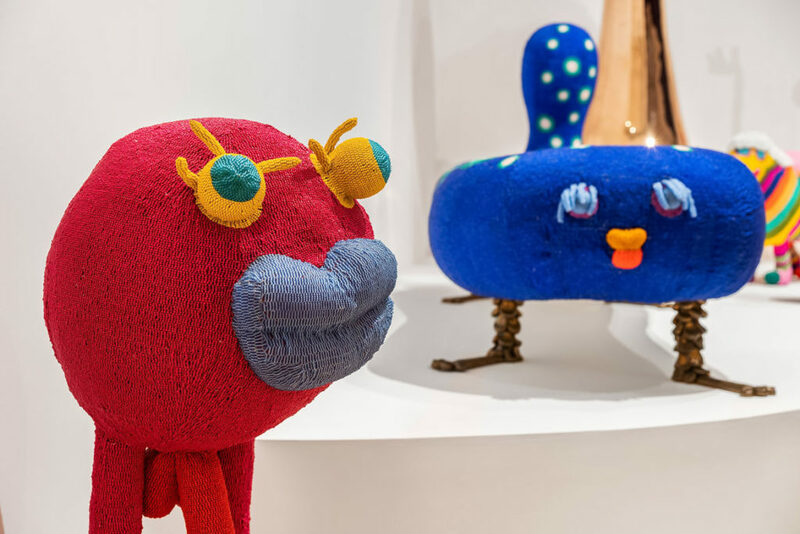 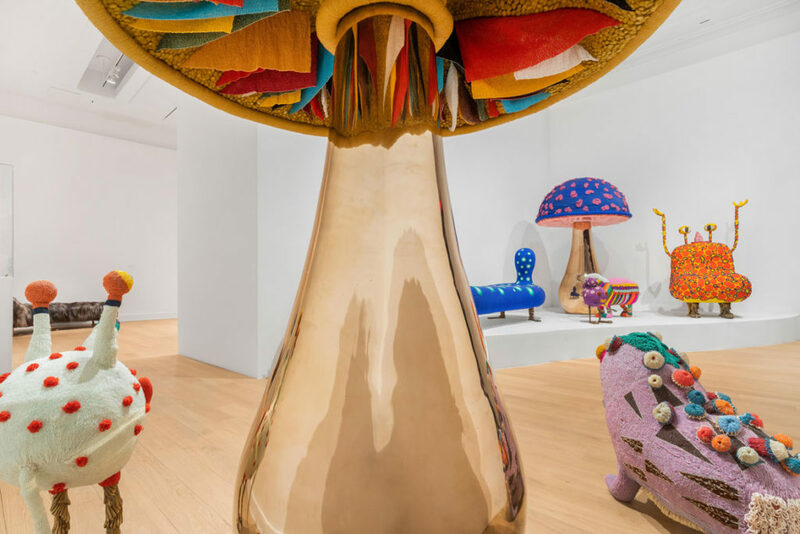 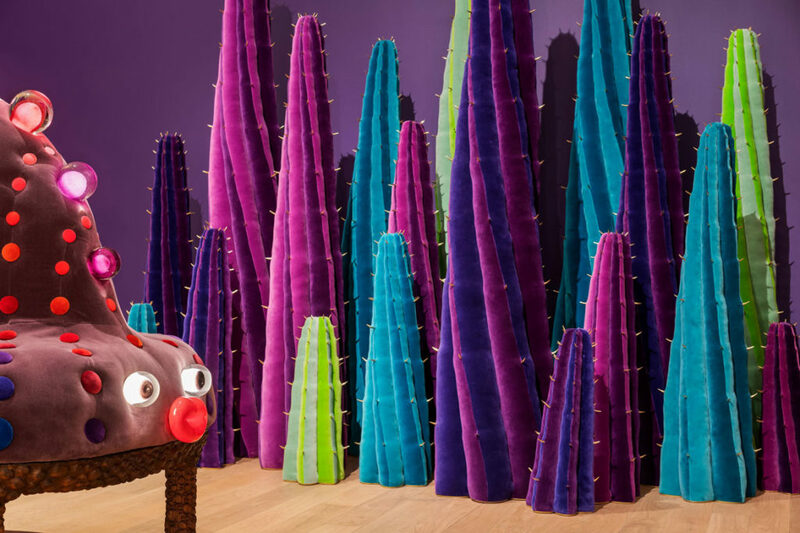 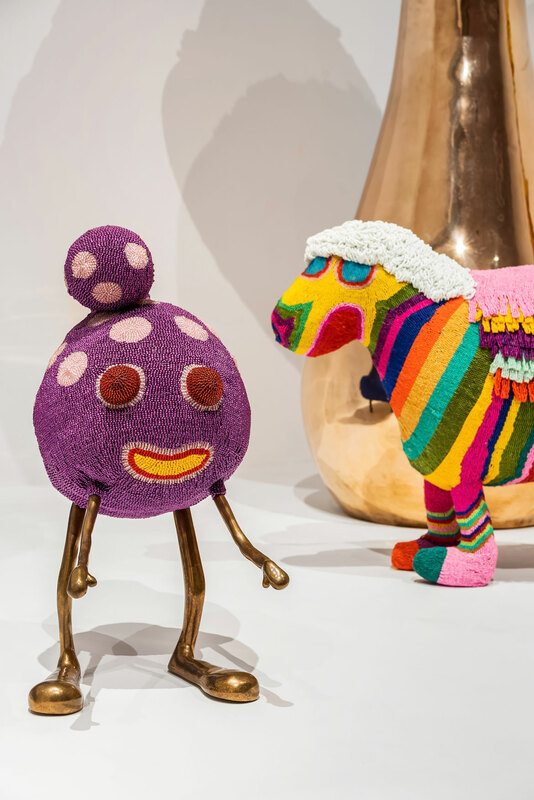 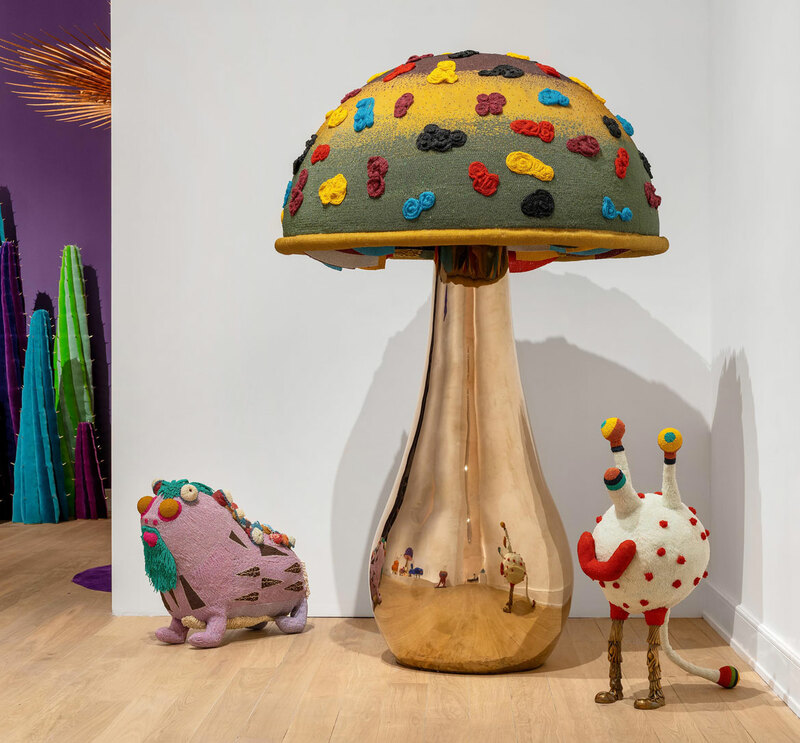 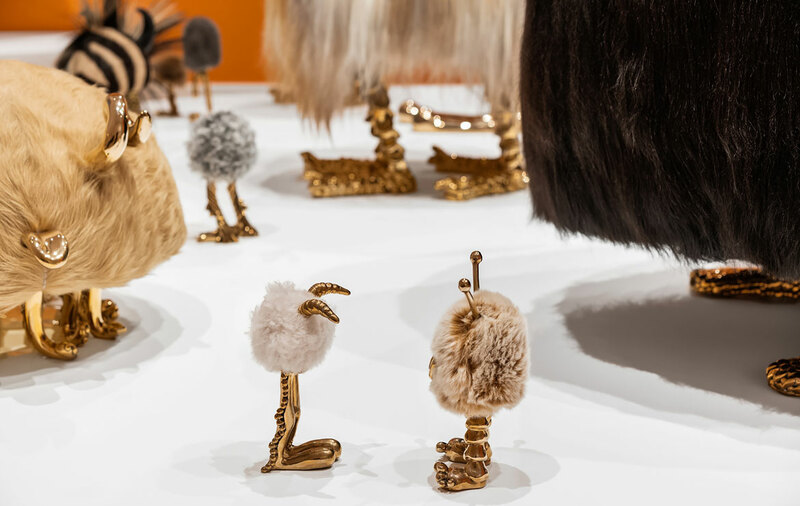 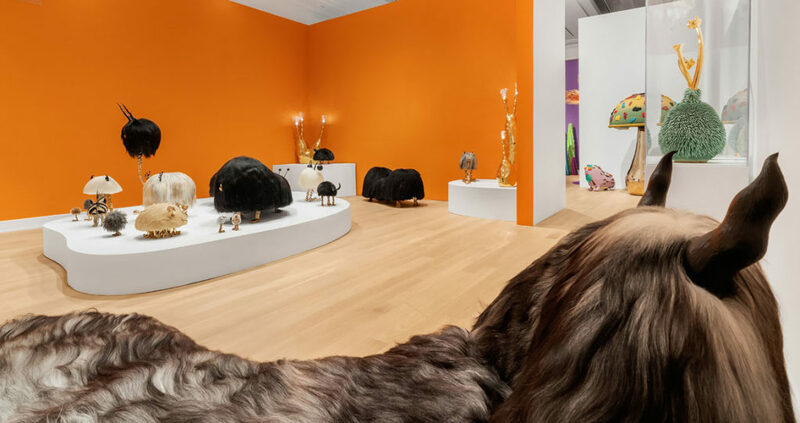 Billed as the “first solo museum exhibition” by Los Angels twins Nikolai and Simon Haas, the show offers technicolor cactai, horned two-legged creatures and spotted cartoon aliens. 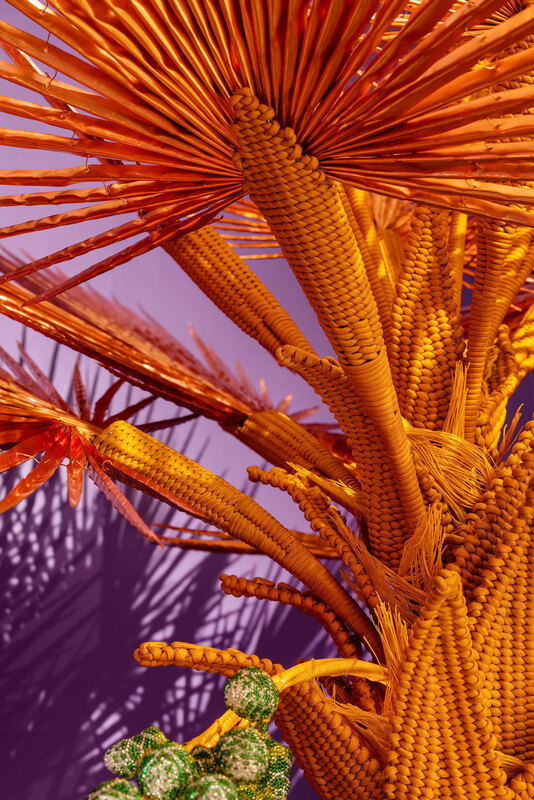 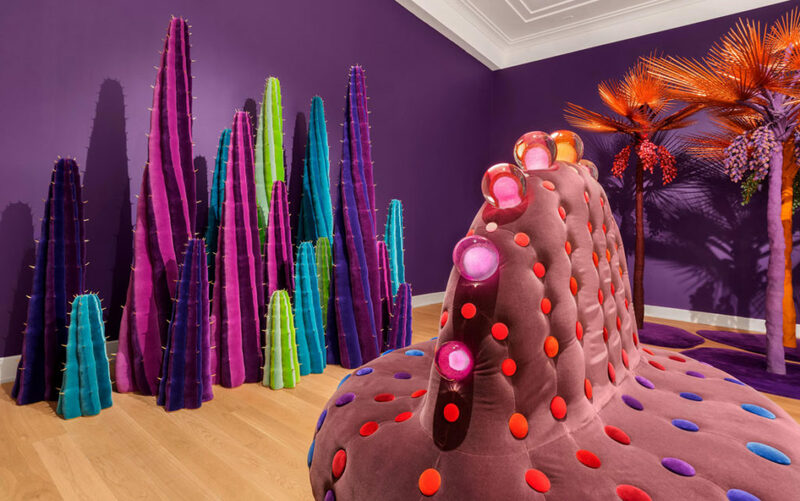 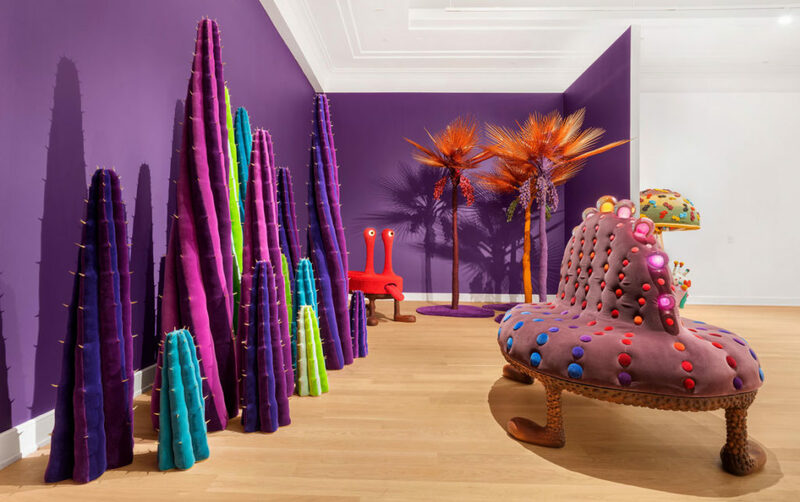 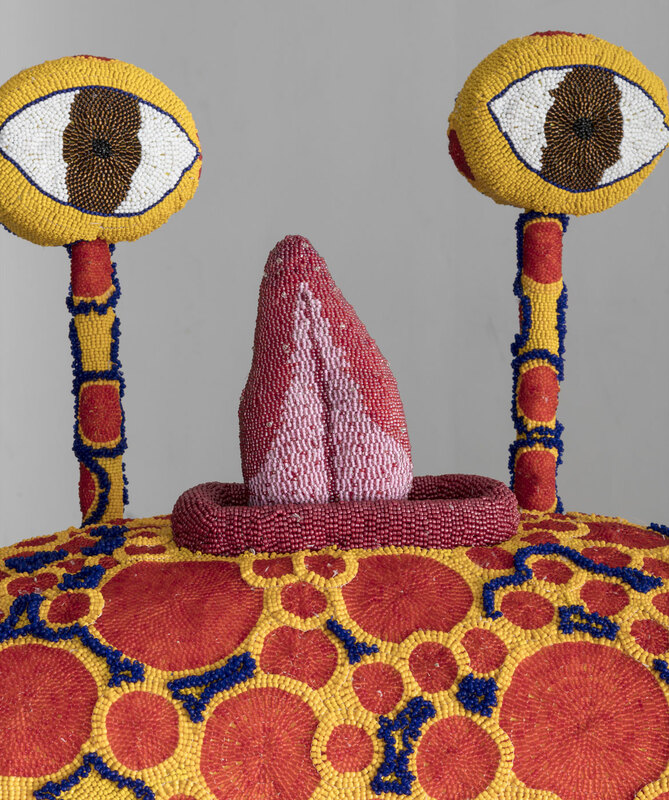 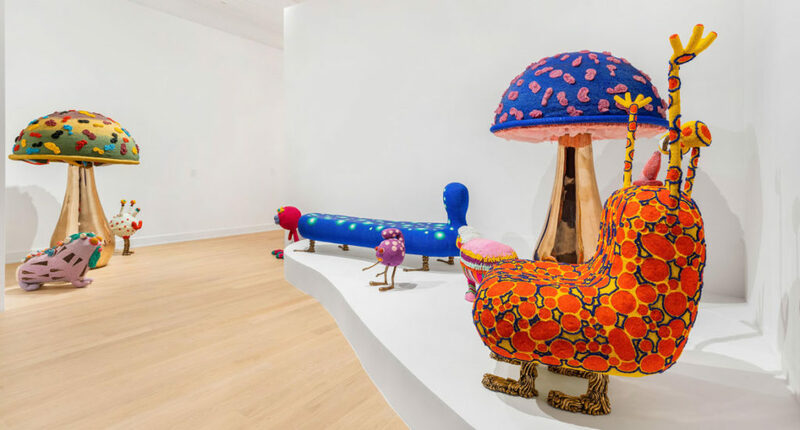 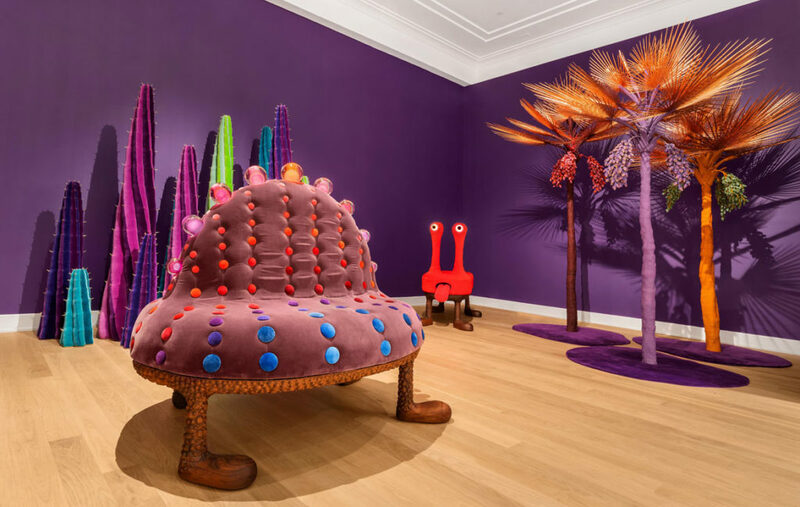 The brothers’ psychedelic world is distinguished because it ranges from sculpture to functional furniture—hairy creature chaises, beaded chairs, and palm tree lamps with woven trunks, copper fronds, beadwork date pods and fiber-optic lights. 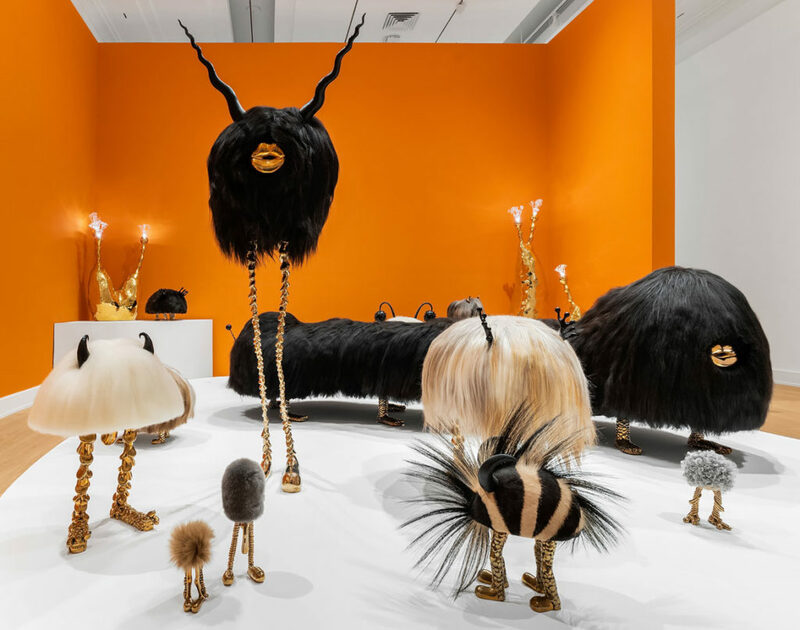 Their materials include carved ebony, cast bronze, Icelandic sheepskin, and fur from cows, goats and Gotland sheep. 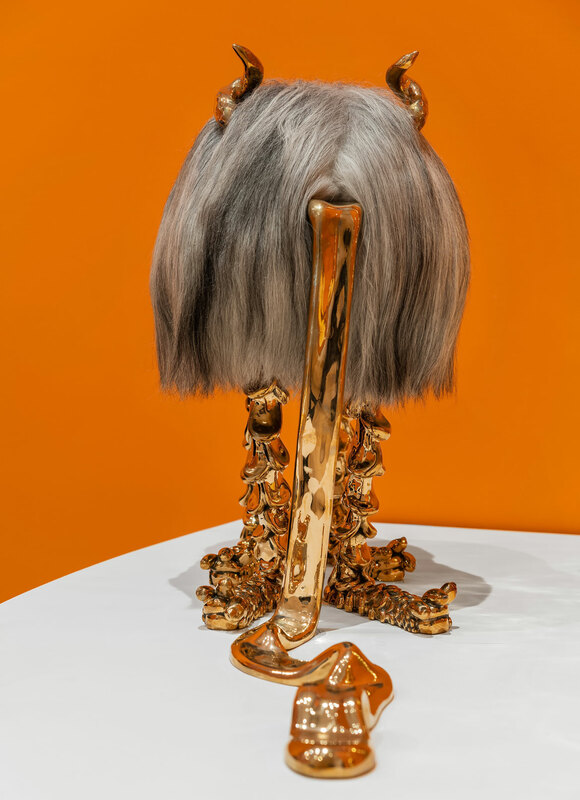 The Haas Brothers and The Haas Sisters, “Spotley Cru” beaded chair with cast bronze feet, 2017.